Seton Hill student Anthony Palmiscno had never traveled outside of the United States before his freshman year of college. But his three-week trip to Spain as part of a Seton Hill class started Palmiscno on a path that has culminated with him receiving a Fulbright English Teaching Assistant (ETA) Grant to Spain. 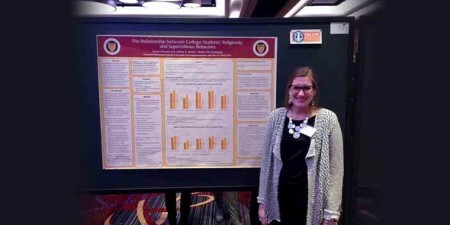 The English Teaching Assistant (ETA) Programs place Fulbright honorees in classrooms abroad to provide assistance to the local English teachers. The assistants help teach English language while serving as cultural ambassadors for the U.S.
Palmiscno was offered one of 46 English Teaching Assistant grants to Spain and will teach at a school in the Madrid area. More than 400 students apply annually to the English Teaching Assistant program in Spain – the largest number of applicants for any country in the program. Palmiscno, the son of Angie and Brian Palmiscno, will be the first in his family to receive a bachelor’s degree when he graduates from Seton Hill in May. He is currently completing his student teaching at Peters Township High School in Peters Township, Pa. Ultimately, Palmiscno hopes to complete doctoral studies and teach at the college level. Palmiscno said his interest in the Spanish culture and language started while he was a student at Kiski Area School. 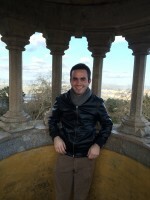 Palmiscno spent the spring semester of his junior year studying abroad at the University of Seville in Seville, Spain. During his time in Madrid with the Fulbright program, Palmiscno will serve as an assistant teacher, helping students with their English as well as other areas of study. He will also serve as advisor for the school’s Model United Nations program. “The Fulbright is an extraordinary opportunity to cross cultural lines and not only allow me to learn more about Spain and its people, but to provide them with the opportunity to learn more about the people and culture of the United States,” Palmiscno said. As part of his Fulbright application, Palmiscno had to propose an extracurricular activity he would like to participate in during his time in Spain. Palmiscno, who plays trumpet, organ and piano and serves as organist at Vandergrift Presbyterian Church, proposed putting his musical talents to use. A member of St. Ambrose Parish in Avonmore, Palmiscno has been active during his time at Seton Hill as president of the Spanish Club, a student government representative, a member of the Education Club, a member of the Honors Council, a Griffin Guide, a Student Ambassador and a member of the Alpha Lambda Delta Honor Society.